Memorial services for LaVerne P. Blowers will be held at 2:00PM on Saturday, February 2, 2019 at Friedrich/Bonnerup Funeral Home in New Richland, MN. The Rev. Dr. Giles Zimmer will officiate. Visitation will take place beginning at 1:30 until the time of the service. Burial with military honors will follow at LeSueur River Lutheran Cemetery. LaVerne died on Thursday, January 17, 2019 at the New Richland Care Center. He was 79 years old. LaVerne Paul Blowers was born on January 25, 1939 in Albert Lea, MN to Vernon and Anges (Hogaas) Blowers. He grew up on a farm north of St. Olaf Lake in Steele Co; attending country schools. After 8th grade, he would attend New Richland High School, where he graduated in 1957. Shortly after, he began work at Sampson Dairy delivering milk. On June 12, 1959, he was united in marriage to Barbara Weckwerth. Within months, LaVerne was drafted in the United States Army, serving his country until his honorable discharge. 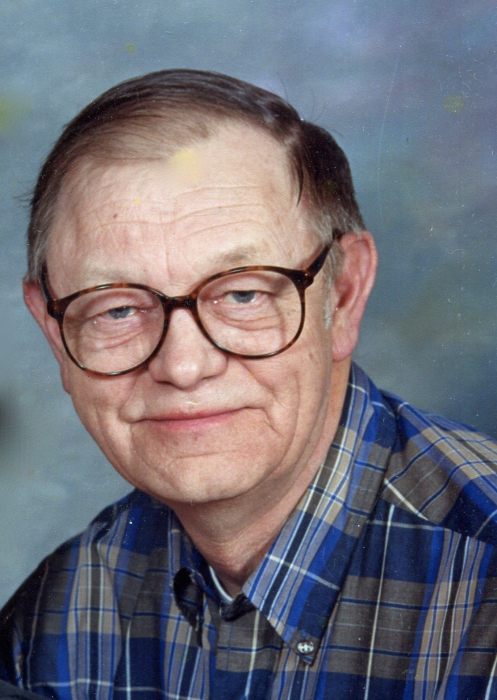 Once he returned from the military, LaVerne spent 18 years working in the Tool and Die industry for Owatonna Tool. Other jobs included: Teledyne, HD Hudson, and other various jobs. In his younger years, he also liked to help on the family farm. LaVerne enjoyed going on trips with his wife, Barbara. He liked to go fishing, going to tractor shows such as Farming of Yester-Year, and enjoyed organic gardening with Barb. The couple canned many vegetables through the years. He is preceded in death by his wife, Barbara (2016); both parents, Vernon and Agnes; and brother in-law, Dale Hall. LaVerne is survived by his sisters, Karen (Mark) Richter of Conger and Linda Hall of Rochester; nephew, Jonathan Richter of Mankato; niece, Kristen (Mikell) Franke and their children, Grayson and Weston of North Mankato; along with other loving nieces, nephews, extended relatives and friends.